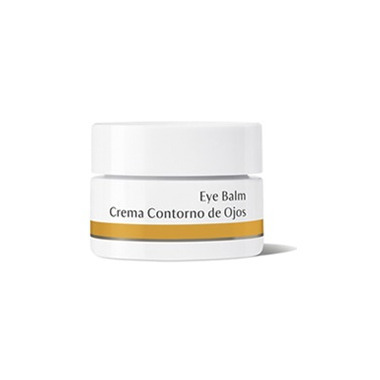 This eye balm is a beautiful product. I have extremely sensitive eyes, with eczema. This leaves my eye area hydrated and soothed. And lasts a long time on the skin. Most other eye creams cause my eyes to water, or make the skin burn slightly when applied. This one doesnâ€™t do any of that. While itâ€™s expensive I have found that a little goes a long way. I have been using it twice a day (sometimes more), and after 6 months there is still a good amount of product left. Itâ€™s greasy and hard to apply even if itâ€™s a really product. I bought it for my eczema around my eyes. Before that, I was using burtâ€™s bee eye cream for sensible skin that is wonderful. I decide to change because winter are coming and I though it was more protective but definitively return to burtâ€™s Bees because hard to apply and then irritate my eczema. Love it. It feels wonderful, is not greasy or heavy, and sinks in quickly. The results are noticeable immediately. I couldn't ask for a better product. I will defintely be checking out more products by Dr. Hauschka! This product really has changed my life. The skin under my eye is almost always dry (even with eye cream) but I just have to use the equivalent of 1-2 grain of rice and my skin tightness is relieved for the whole day! This product really worths it. If I use it every day, it will last me at least 6-8 months. Maybe even 12 months! You really don't need a lot of this product each time. In brief, I love this eye balm! I love this for harsh canadian winters! Even though I wear day cream on my face, it tends to get a little dry if I spend time outside and this luxurious balm really helps protect the sensitive eye area! Plus the little container lasts an eternity so it's a good investment.